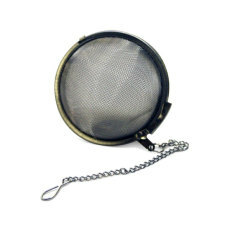 The process of brewing creates a lot of small particles, many of which are not good to have in the final product when you're drinking it! 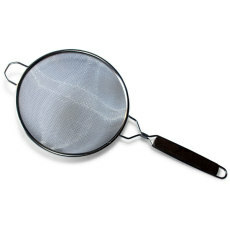 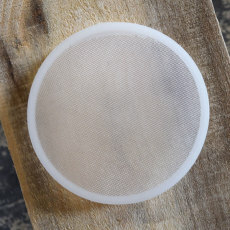 Our selection of filters and strainers will help you in each step of the brewing process with keeping these little particles out of your finished homebrew! 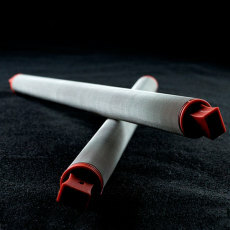 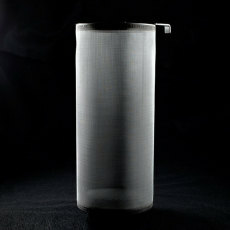 A stainless steel mesh tube for dry hopping in a carboy. 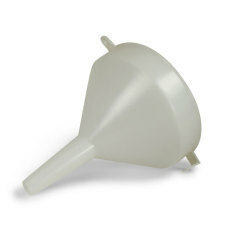 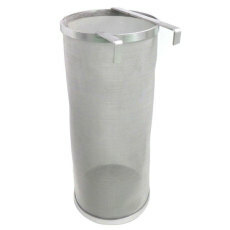 An 8-inch diameter funnel, perfect for all your brewing or vinting needs! 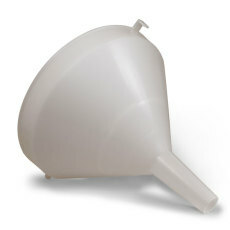 One of the best investments you will ever make for your brewery or winery; a funnel with an anti-splash backing! 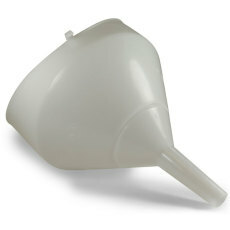 This 5 inch funnel is perfect for all your small batch needs! 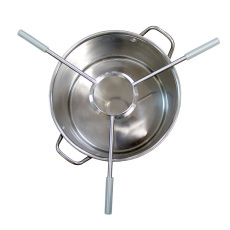 Strain your beer, wine, and other fermented products with this strainer that fits neatly into our 8 inch and 10 inch funnels. 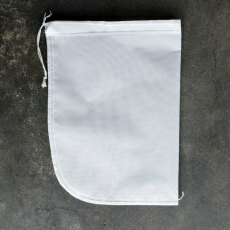 Nylon Grain Bag with Drawstring - 9" x 11"
A small nylon bag with a drawstring for steeping grain, hops, or spices! 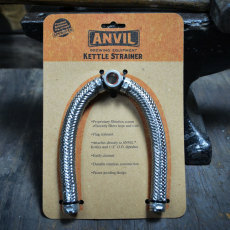 A stainless steel hop spider used to incorporate hops without getting plant material into the boil!